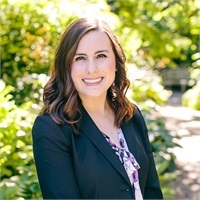 Spirited Courtney is from Redmond and graduated from Seattle Pacific University with a degree in psychology and a minor in communications in June of 2013. Courtney works alongside Elizabeth and Scott to aid in daily client service actions while also managing the compliance of the office; she enjoys serving the clients of MarsJewett in any way possible! Courtney married Andrew in July of 2014, they live in Bellevue and enjoy serving their church community together as well as spending time in the outdoors. They also enjoy spending time with their families who live locally. Most weekends she can be found exploring new coffee shops and restaurants with her husband, in pursuit of the perfect almond milk latte. She loves her work at MarsJewett, and looks forward to meeting you soon!